Our passion for your enjoyment ! All of our bio fireplaces and garden fireplaces are created solely at the KAMI company production plants, where only the best specialists in their field are employed – professionals associated with us for many years. Designs are drawn up in our proprietary design lab, where the initial product concepts are processed using appropriate computer software and later visualized. Then a prototype is created, which we submit to numerous tests and examinations. If it is necessary – we introduce amendments and improvements to achieve the desired, flawless result. Through modernization of hearths occurring in bio-fireplace we have extensively mastered the technology of safe and environmentally friendly burning of bio-fuels, and with full responsibility we can state that, as a Polish manufacturer of fireplaces we are the company that sets trends in the production of burners for bio-ethanol fireplaces and bio-fuel inserts for fireplaces. The inspiration for our designs are volcanoes – the amazing creations of nature. A volcano during eruption is a view you can not take your eyes off of. The view of molten lava flowing from the depths of the earth both mesmerizes and delights. This unbelievable experience we decided to move under our roof, and – through living fire – to re-create an equally absorbing atmosphere. 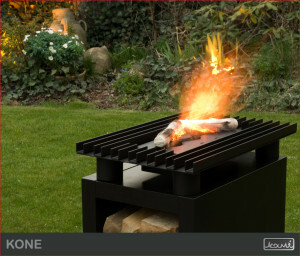 For this very reason our bio-fireplaces names are borrowed from the names of volcanoes. The similarity can also be found in their form. Given the sophisticated tastes of the consumers, and needs of a demanding market, in 2012 we started cooperation with the Italian Designer Alexandro Savo, the effect of which is, among others, the ERTA line of fireplaces and several other models released under name of this designer. peace of mind: quick, easy installation in any location and possibility of immediately putting them to use without requiring special handling or maintenance. Here are just some of the benefits of our fireplaces. 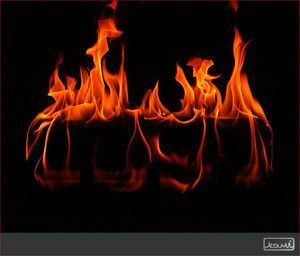 Bio-fireplaces KAMI – experience the joys of living fire every day!